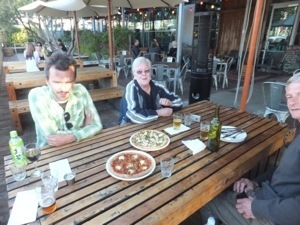 Steve and his parents enjoyed a lovely day in Fremantle today, and I met them in the evening at Little Creatures for dinner. 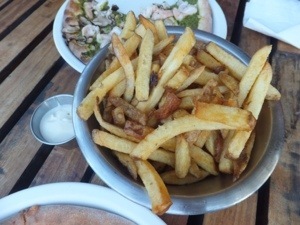 They had already snacked on some Fremantle sardines & octopus before I got there, but then we ordered some pizzas and chips (or should I say frites). 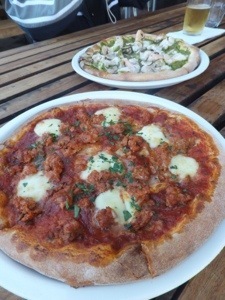 The pizzas were pork sausage with fennel and bocconcini & prawns with coriander pesto.